KT + Truant Desk 4EVA. That’s what my heart feels like carving on this beautiful wooden desk by Porktown MFG Custom Furniture. Except that even typing the word ‘carve’ in that last sentence made me cringe a bit, because this desk is incredibly lovely. Doing anything to mar it would be a horrible, horrible crime. Handmade in Melbourne, the new object of my affection is definitely good looking. The design was inspired by mid century flip top desks, with a bit of a difference. 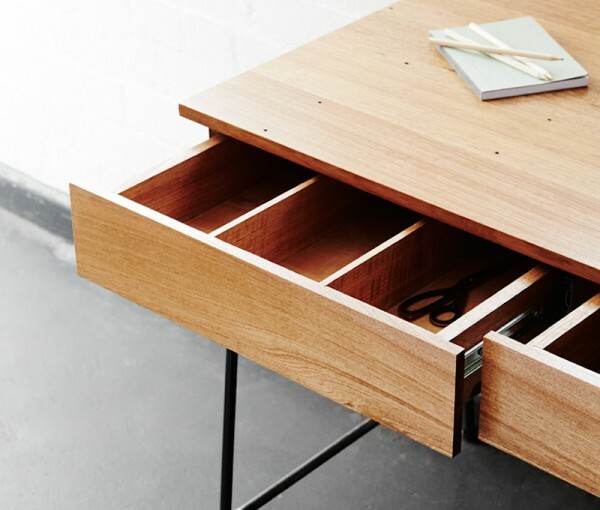 Instead of a flip top, the desk has two drawers, making it attractive and practical. The drawers can be built as a standard drawer, or can be customised and split into smaller compartments. A clean workspace makes a really big difference to my headspace, so I love that the drawer option gives you somewhere to store all your bits and pieces without making the desk look clunky. The simple, elegant design means the desk will work in any room, and also gives it a timeless feel. It really will be something that you want to keep forever (or 4EVA). 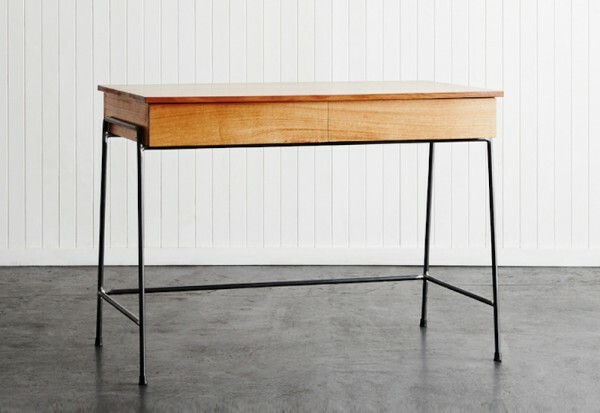 The desk is available in either recycled Tasmanian oak or messmate finished in a natural oil and wax top coat. Starting from $1100, you can order the Truant Desk through Porktown MFG.